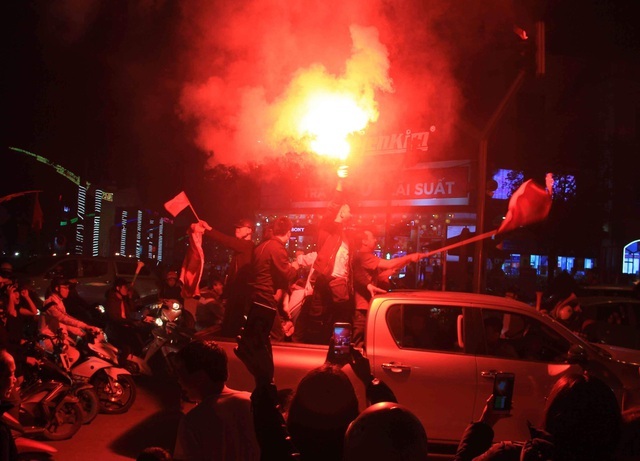 Thousands of people flocked onto the streets with national flags to celebrate Vietnam's win against Jordan in the evening of January 20 in the United Arab Emirates. 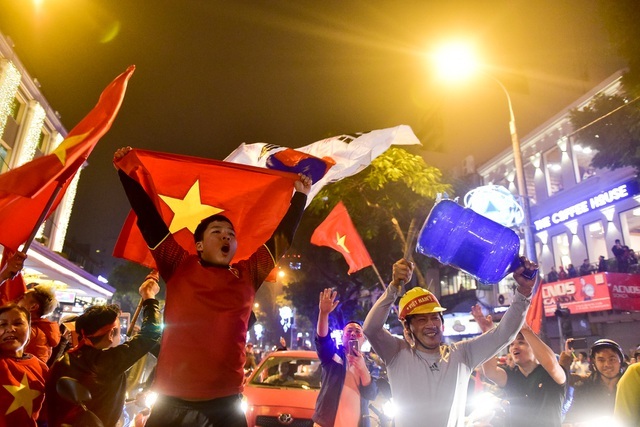 With the victory, Vietnam were the first to book their place in the last eight of the AFC Asian Cup 2019. 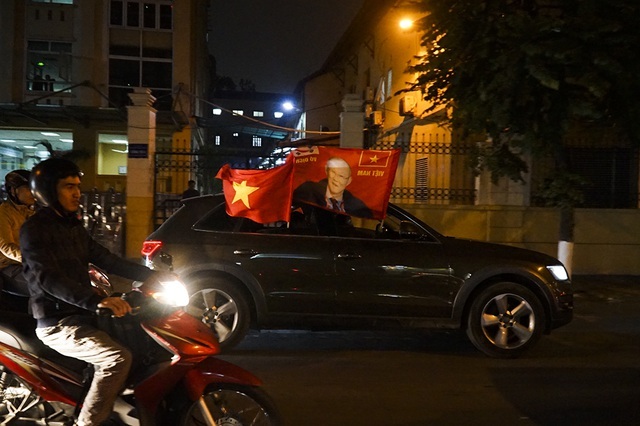 The streets to Hanoi's centre crowded with people cheering and waving the flags of Vietnam as well as the flags with coach Park Hang Seo images. 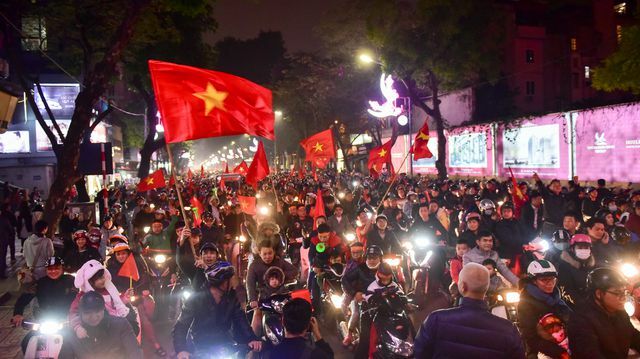 Thousands of people gathered around the Hoan Kiem Lake to celebrate the victory of the national football team. 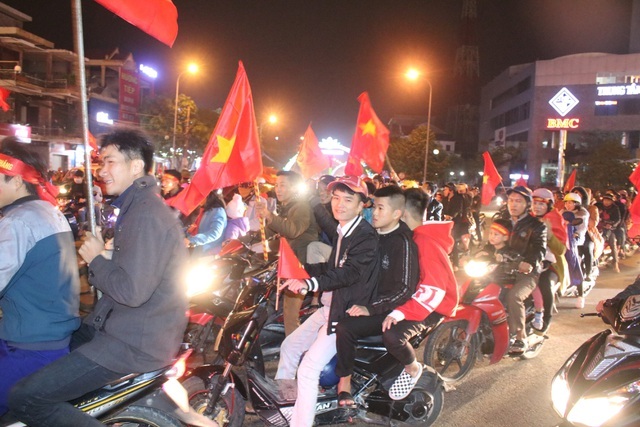 Hang Bai Street was covered with red flags, a familiar scene which was seen recently when Vietnam won and became the Southeast Asian champions last December. 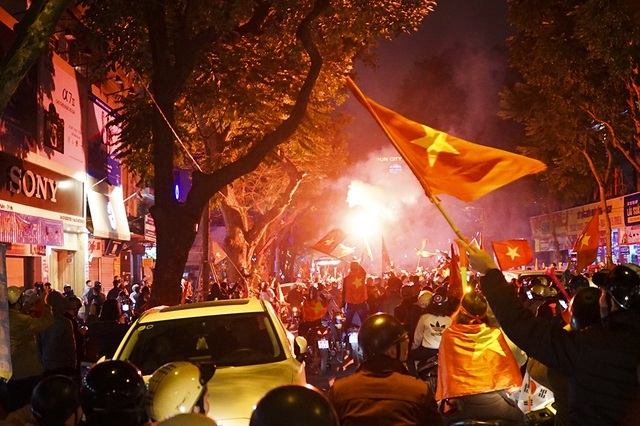 The same scene was seen in Ho Chi Minh City and many other provinces nation-wide. 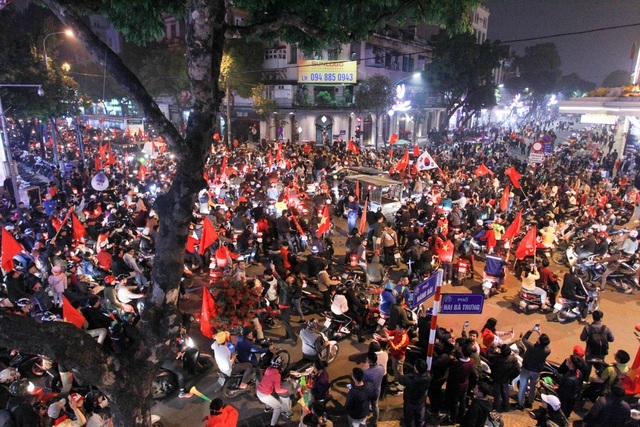 This picture shows people celebrating the victory on Dien Bien Phu Street in Ho Chi Minh City. 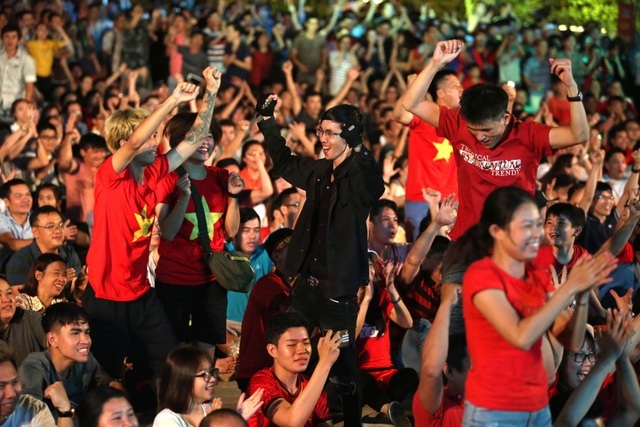 Fans in Ha Tinh Province.